This post was sponsored by Progresso. As always, all opinions are truly my own! As long as I can remember, I’ve always enjoyed the holiday season! It was a time that I looked forward to because I was my mom’s special little helper! I would get up really early and help her prep and prepare all of the food! I even had a special apron that I would wear! Now that I’m a wife and a mommy to my two little boys, I want to pass down those traditions and create memories with my own kids this holiday season! My 4-year-old son has already taken an interest in helping me in the kitchen! He loves to join me as we head to Publix to get all of our ingredients! 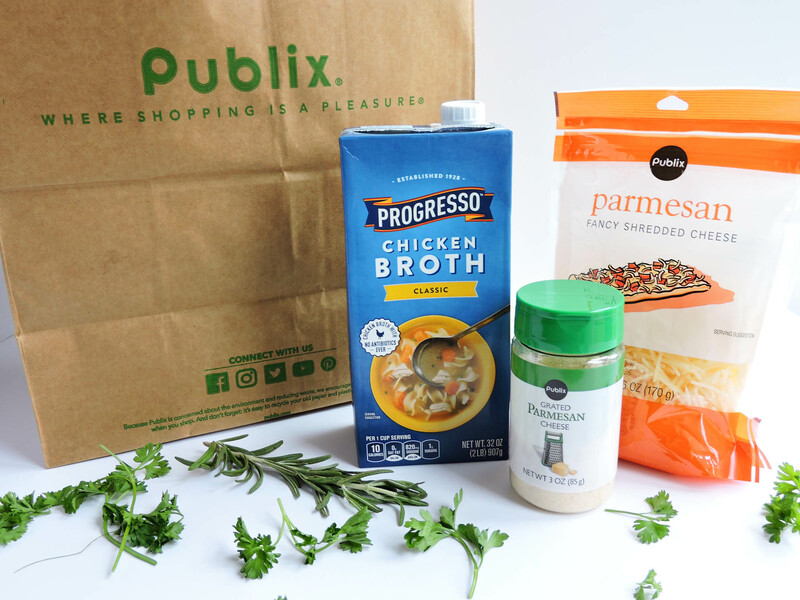 I love shopping at Publix for all of my cooking essentials because they have everything that I need! My son loves to tag along because I usually let him sample one of the cookies from the bakery…and sometimes (on a very rare occasion), he lets me have a bite! Yum! These family memories are the best! 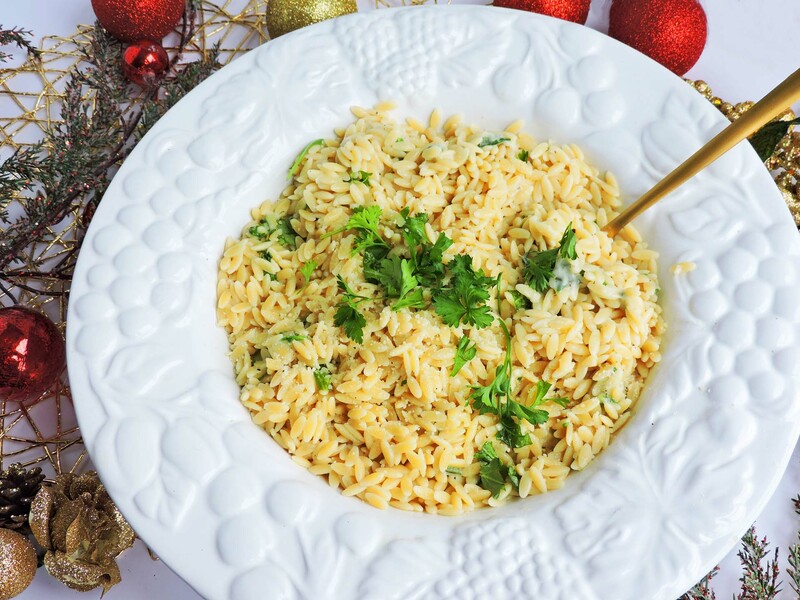 One of our favorite meals to cook is Garlic Parmesan Herb & Arugula Orzo! He loves to get his little step stool and watch me as I prep all of my ingredients! Prepping my ingredients is a MUST! It helps to keep my kitchen organized and prevents me from forgetting an important ingredient…which has happened more times than it should! 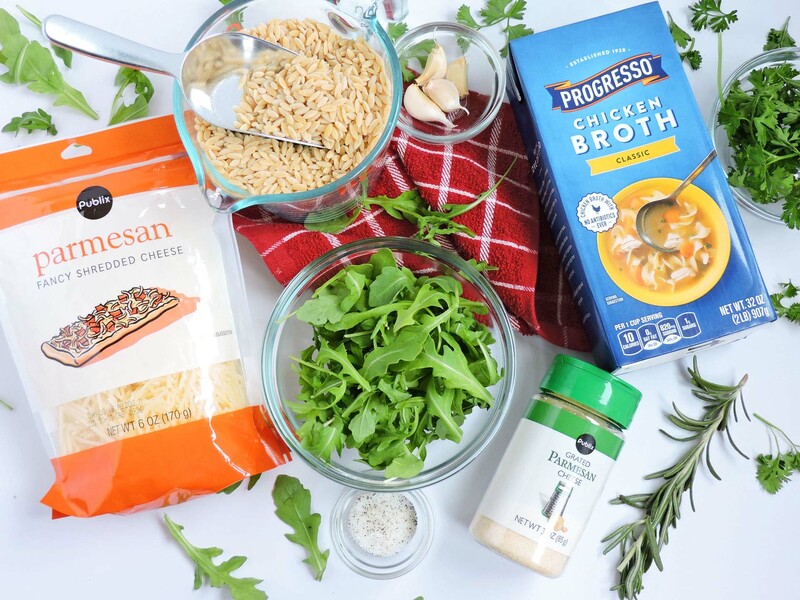 One of the key ingredients in my Garlic Parmesan Herb & Arugula Orzo is the Progresso Chicken Broth. This has been a staple ingredient for all of my soups, stews, and pasta dishes. It provides so much flavor with such little effort! 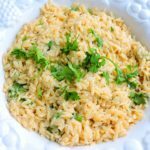 This recipe is such a family favorite and it’s very easy to put together! 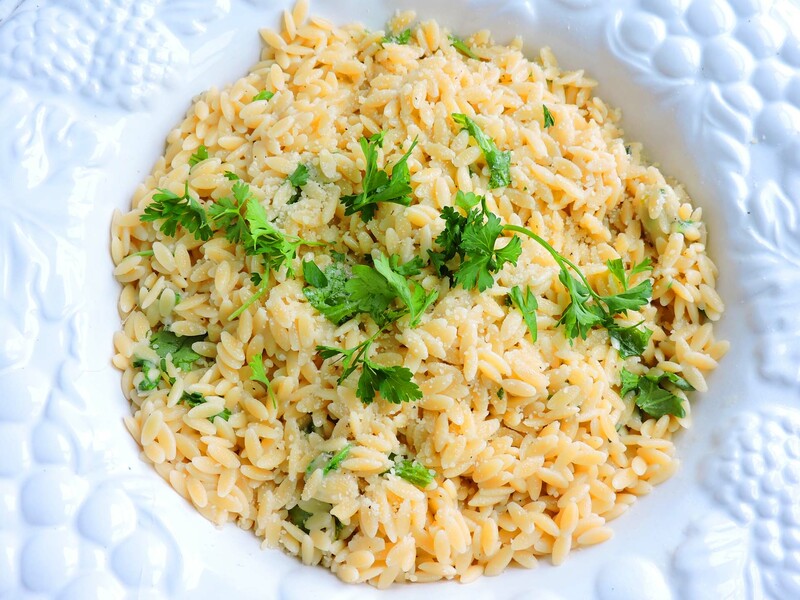 Once the orzo has been prepared per the package instructions, just toss in the other ingredients and stir! 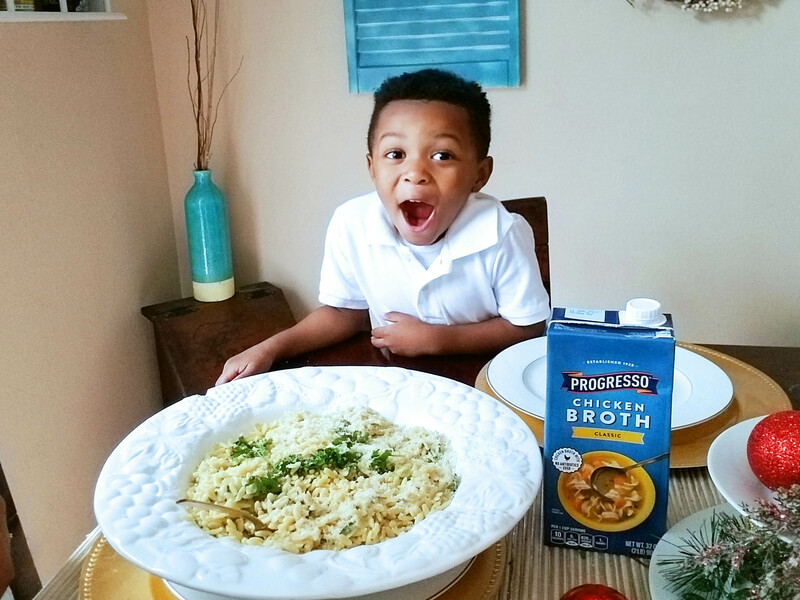 The warmth from the freshly prepared orzo “cooks” the rest of the ingredients and brings all of those delicious flavors together! 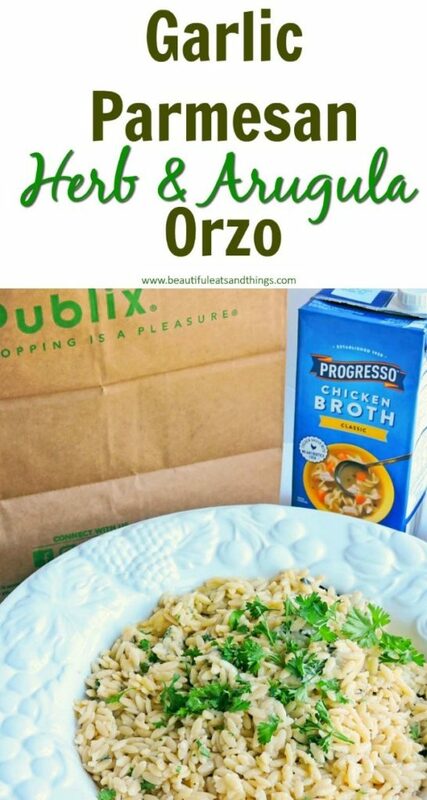 Cook orzo according to package instructions. Drain and set aside in a large bowl. 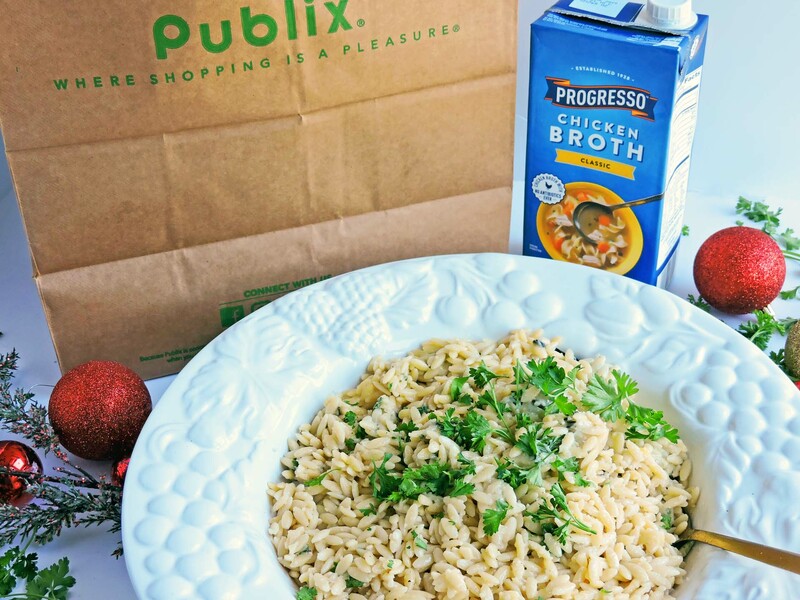 Add Progresso Chicken Broth, shredded parmesan cheese, garlic, arugula, and rosemary to the bowl of orzo. Stir until all ingredients are combined. Transfer to a serving dish and sprinkle with grated parmesan. Top with parsley, if desired. 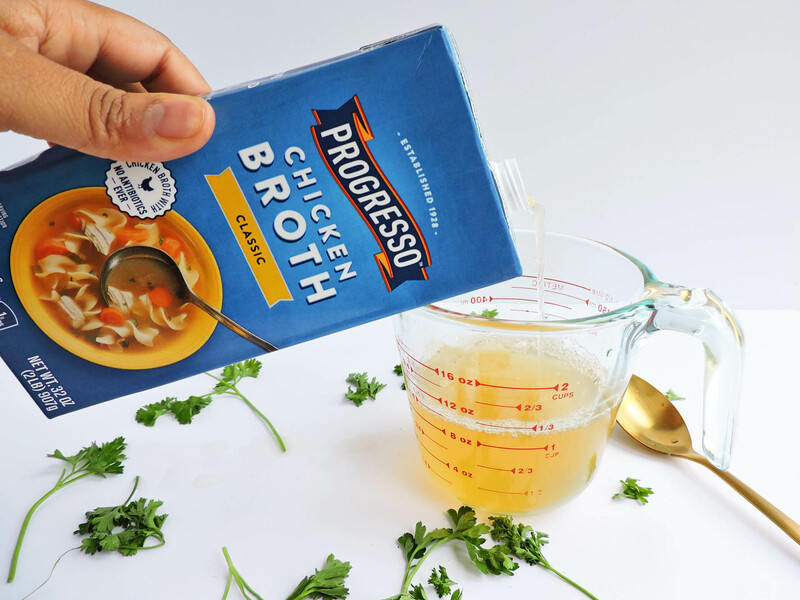 Because the Progresso Chicken Broth has so much flavor, you really don’t need to add any additional seasoning, but feel free to add salt and pepper to taste! The fresh herbs also add so much exciting flavor to this dish! Now for the finishing touch, which is fresh parsley and LOTS of grated parmesan cheese! This is my son’s favorite part because he loves to sprinkle the parmesan cheese on top! Sometimes he sprinkles a little TOO much parmesan, but it’s okay because I just love to see that smile! It warms my heart to know that he enjoys spending time with me, just as I did with my mom when I was his age. 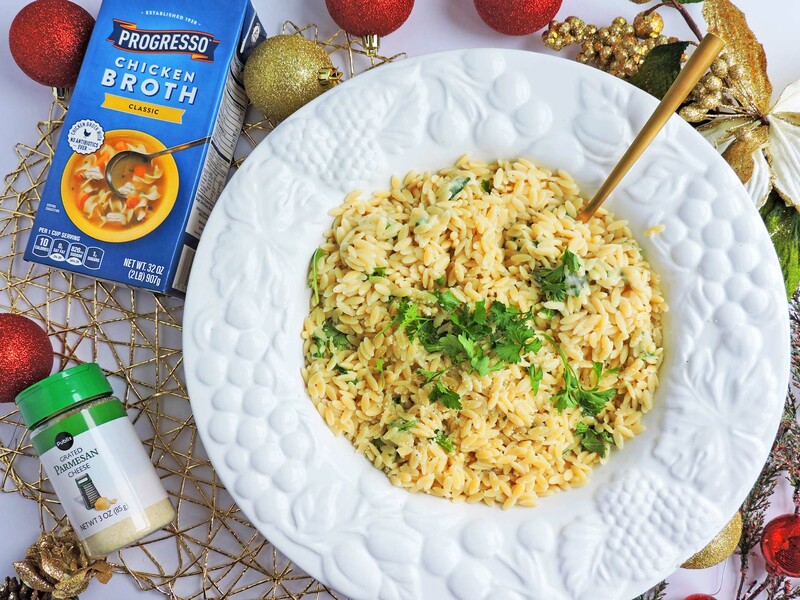 Recipes such as this Garlic Parmesan Herb & Arugula Orzo will help you create lasting memories with your family and friends this holiday season! 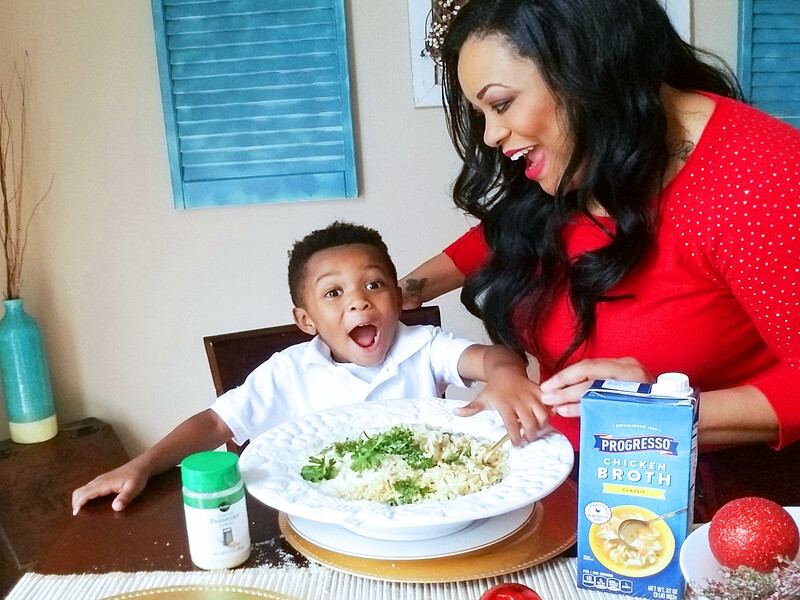 To create your own everyday memories, visit YourRecipeForHappiness.com where Publix, Kraft, Pepsico and General Mills brings you tons of tips & recipe ideas that will help you turn any crafting, cooking, baking or holiday moment into one you will remember with your friends and family! 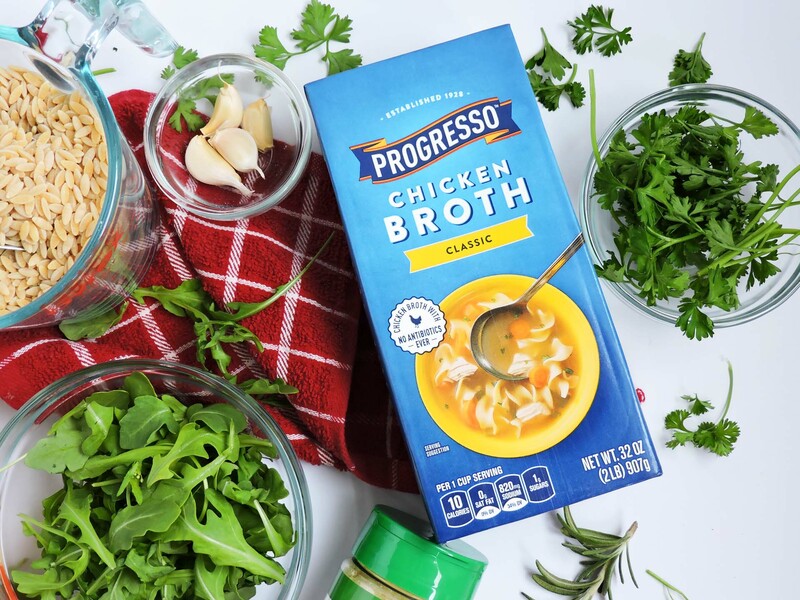 This is a sponsored post written by me on behalf of Progresso.